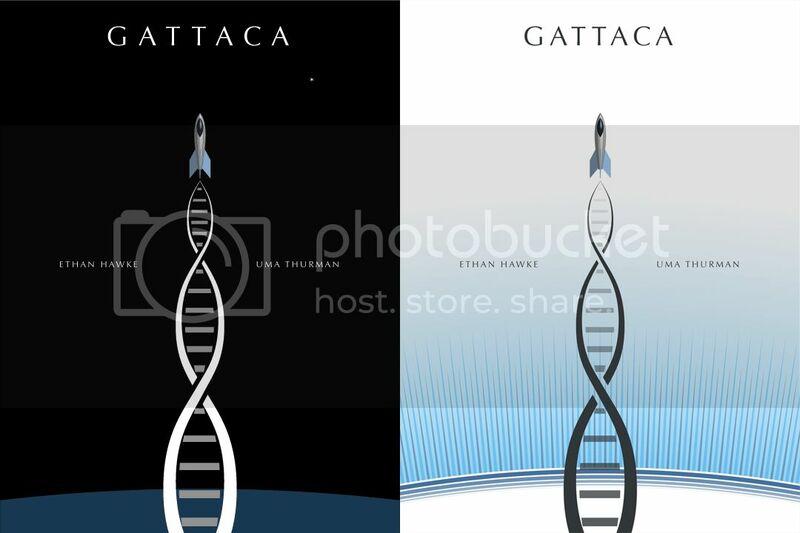 Gattaca art and content ©1997 Columbia Pictures, all rights reserved. A trend-setter in genomics and bioinformatics, long before they were scientific staples, 1997 sci-fi masterpiece Gattaca has some of the most thoughtful, smart, introspective science of any film. To realize his life-long dream of space travel, genetically inferior Vincent Freeman (Ethan Hawke) assumes the DNA identity of Jerome Morrow (Jude Law), but becomes a suspect in the murder of the space program director. Not only is this the first (and only) movie to have a clever title composed solely of DNA sequence letters (G, A, T and C are the nucleotide bases that make up DNA), it was declared by molecular biologist Lee M. Silver as “a film that all geneticists should see if for no other reason than to understand the perception of our trade held by so many of the public-at-large.” In 1997, we were still 6 years away from the completion of the Human Genome Project. Post that feat of modern biotechnology, the ability to obtain ‘personal genomics’ disease profiles has led bioethicists to question who is to be entrusted with interpreting personal DNA information, and the United States Congress to pass the Genetic Information Non-Discrimination Act. Could we find ourselves in a world that judges the genetically perfect as ‘valids’ and anyone with minor flaws (and what constitutes a flaw?) as ‘invalids’? The eugenic determinism in Gattaca certainly portrays an eerily realistic portrait of such a world. 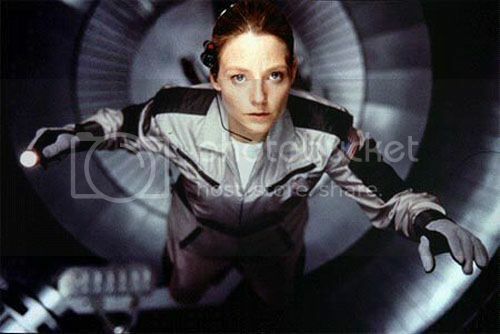 Contact movie still ©1997 Warner Bros. Pictures, all rights reserved. Voted on by several of our Facebook and Twitter fans (in complete agreement with us), Contact (based on the book by the most important astronomer of our time, Carl Sagan) is an astonishingly smart movie about the true meaning of human existence, explored through the first human contact with intelligent extraterrestrials. Rarely ambitious and quietly thoughtful science fiction for a big-budget movie, Contact is also one of the best explorations of the divide between science and religion. Bonus points for Jodie Foster’s eloquent and dedicated portrayal of what a real scientist is like. 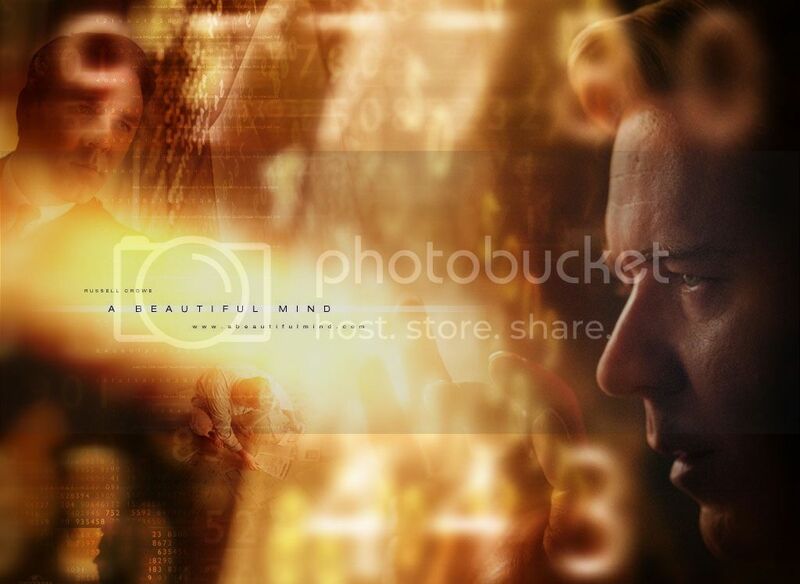 A Beautiful Mind poster and content ©2001 Universal Pictures, all rights reserved. It’s not often that cinema even touches mathematics or physics with depth and significance. It’s even rarer to see complex mathematics at the center of a poignant plot. 2001 Academy Award winning drama A Beautiful Mind was inherently not a film about mathematics, but rather one man’s quest to overcome a debilitating mental illness to achieve greatness. Nevertheless, the presentation of abstract mathematics, notably the Nash equilibrium that won John Nash the Nobel Prize in Economics in 1994, is not only difficult to do in film, but is done extraordinarily well by director Ron Howard. For anyone that has studied high-level math, or known a math professor, this film gives a picture-perfect portrayal, and possibly inspired a new generation of aspiring mathematicians. 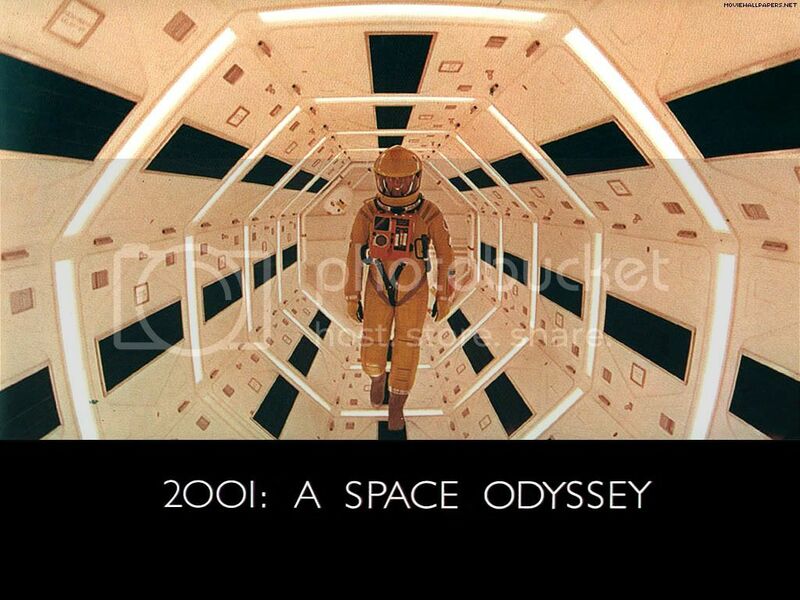 2001: A Space Odyssey movie still ©1968 MGM Pictures, all rights reserved. 2001: A Space Odyssey is the greatest sci-fi film ever made. Period. Kubrik’s classic introduces an ahead-of-its-time exploration of human evolution, artificial intelligence, technology, extraterrestrial life and the place of humanity in the greater context of the universe. Although definitively esoteric in its content, individual elements could be lifted straight from a science textbook. The portrayal of an ape learning to use a bone as a tool and weapon. Missions to explore outer space, including depictions of alien life, spacecraft and computers that are so realistic, they were built based on consultations with NASA and Carl Sagan. The Heuristic ALgorithmic computer (HAL) that runs the ship’s operations is depicted as possessing as much, if not more intelligence than human beings, an incredibly prescient feat for a film made in 1968. 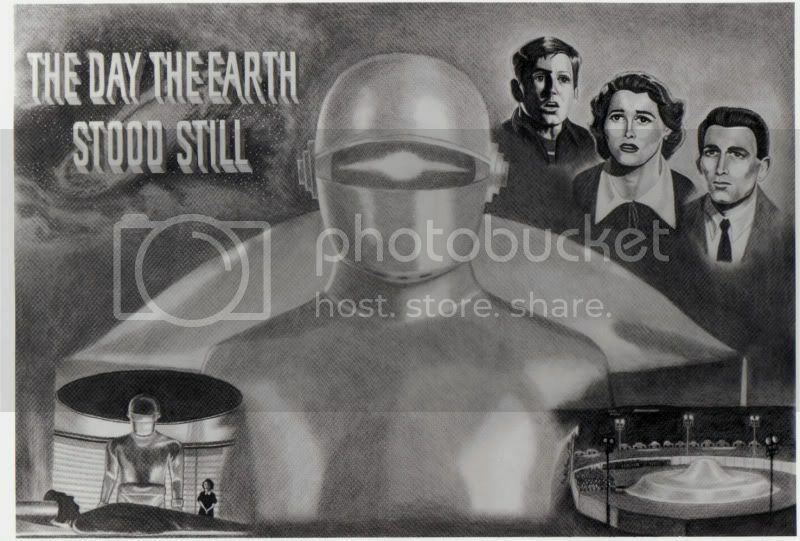 The Day The Earth Stood Still movie poster ©1951 20th Century Fox film corporation, all rights reserved. The Day the Earth Stood Still (we speak of the original, and not its insipid 2008 remake) is a seminal film in the development of the big-budget studio sci-fi epics. Given its age (the original came out in 1951), it still stands the test of time as a warning about the dangers of nuclear power. Well-made, sophisticated and not campy, TDTESS is one of the best cinematic emblems of the scientific anxieties and realities of the Cold War and nuclear era. It is usually a staple of Top Sci-Fi lists. 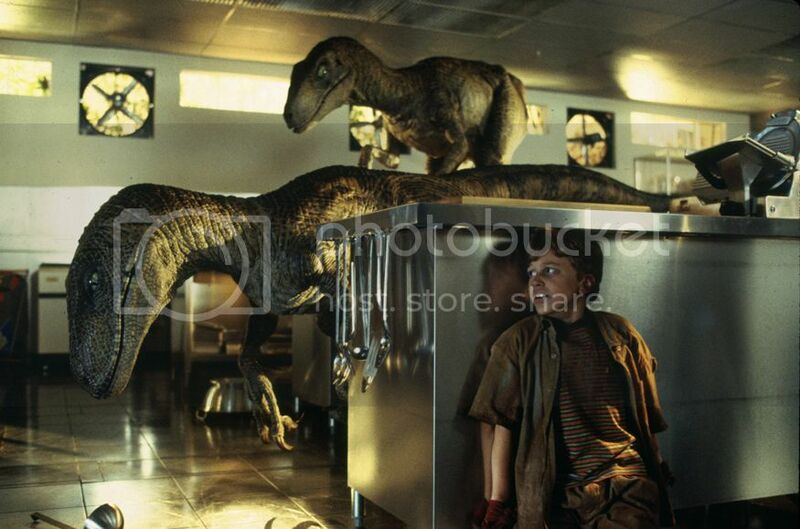 Jurassic Park film still ©1993 Universal Pictures, all rights reserved. Jurassic Park, originally released in 1993, set one of the most important landmarks for modern science in film—the incorporation of DNA cloning as a significant plot element three full years BEFORE the birth of Dolly, the cloned sheep. Even more important than the fact that, although highly improbable, the science of Jurassic Park was plausible, is the idea that it was presented in an intelligent, casual and meaningful way, with the assumption (and expectation) that the audience would grasp the science well enough not to distract from the rest of the film. 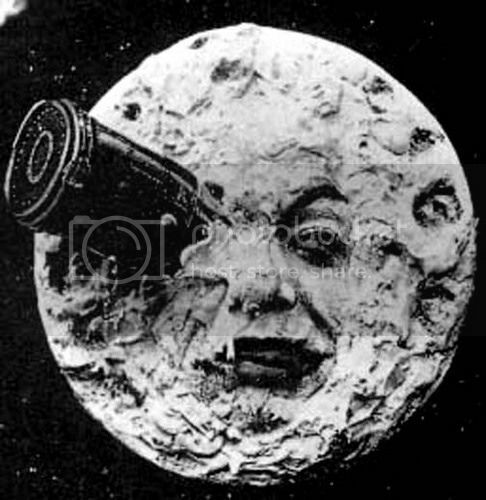 Furthermore, the basic plot of the film (and the book on which it was based) act as a cautionary tale about the dangers of unchecked scientific experimentation, and the havoc it can wreak when placed in the wrong hands. With the completion of the Human Genome Project in 2003, and the ability to sequence an organism’s genome in a day, bioethical questions about how personal genomics and the resurgent gene therapy are used are perfectly valid. Jurassic Park set a new standard for how modern science would be incorporated into movies. 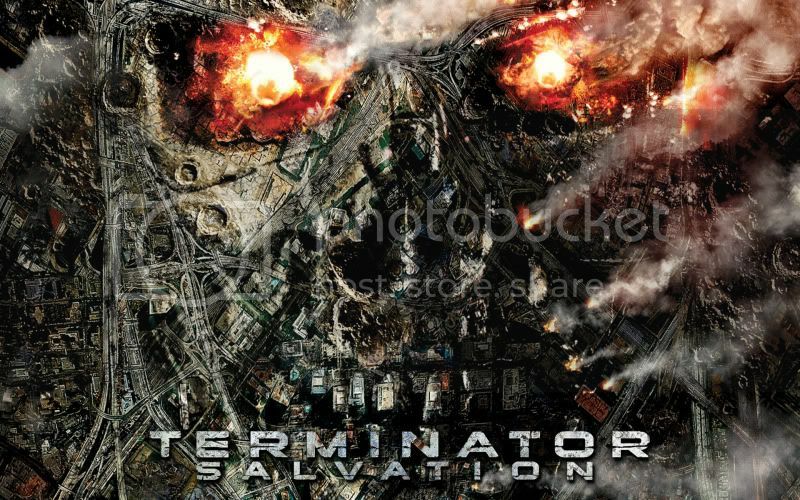 The Terminator images and movie poster ©1984-present MGM Pictures, all rights reserved. The Terminator?! Sounds campy, I know. We associate these adventure blockbuster films more with action, explosions and the rise of Arnold Schwarzenegger. Not game-changing science. Think again. The cyborg technology presented in these 1984/1991 action adventures was not only far ahead of its time scientifically, but smart, conceptual, and has really stood the test of time. Countless engineers and aspiring scientists must have been inspired by the artificially intelligent robots when the film first premiered. Today, with robotics technology enabling everything from roomba vacuum cleaners to automated science research, many engineers postulate that the day could even come that humanoid robots could someday fight our wars. Earlier this year, scientists at the German Aerospace Center even created the first ‘Terminator’-like super strong robot hand! 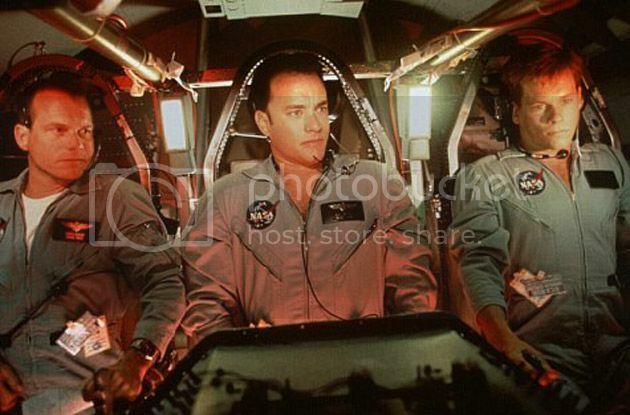 Apollo 13 movie still ©1993 Universal Pictures, all rights reserved. Space. The final frontier. At least in the heart of the movies. Far beyond the sci-fi genre, space travel, extraterrestrial life, and NASA missions remain a potent fascination in the cinematic world. For its feat as one of the most factually-correct space travel films ever made, with pinpoint portrayal of a monumentally significant event in the history of American science and technology, Apollo 13 enthusiastically lands on our list. Ron Howard’s almost-obsessive dedication to accuracy in detail included zero gravity flights for the actors (in addition to attending US Space Camp in Huntsville, AL), studying the mission control tapes, and an exact redesign of the layout of the Apollo spacecraft controls. Not only does the story inspire the spirit of adventure and innovation, it is 100% true. Andromeda Strain (remake) movie poster ©2008 AS Pictures, all rights reserved. Original film ©1971 Universal Pictures, all rights reserved. Moon film still ©2009 Liberty Films, all rights reserved. One of the most recent films to crack our Top 10 list, 2009’s debut gem from sci-fi director Duncan Jones failed to amass an audience commensurate to its brilliance and modern scientific relevance. A sweeping, gorgeous epic in the shadow of (and certainly inspirited by) 2001: A Space Odyssey, Moon (ScriptPhD.com review) tells the story of Astronaut Sam Bell (Sam Rockwell), who is at the tail-end of a three-year solo stint on the Moon, mining for Helium-3 resources to send back to an energy-depleted Earth. As the sole employee of his lunar station, Bell works alongside an intelligent computer named GERTY (Hal’s third generation cousin), but on the heels of his return to Earth, uncovers an insidious plot by the company he works for to keep him there forever. There are so many scientific and technology themes that made this an obvious choice for our list. 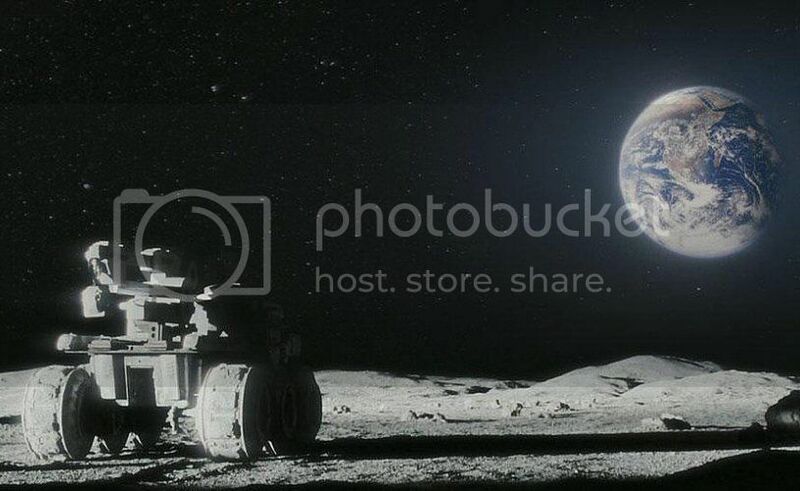 Moon exploration and human colonization has been a hot topic for at least the last 15 years, with a recent discovery that the Moon may have as much water as the Earth sure to fuel possible NASA exploration and additional Moon missions. 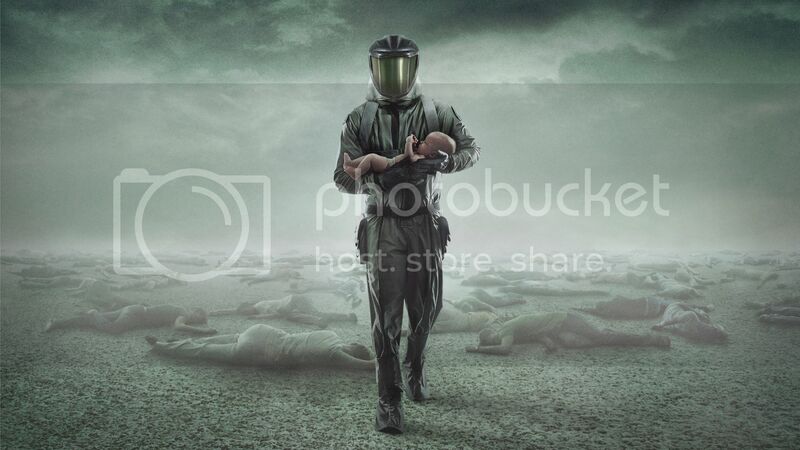 The ethical morass of a greedy company with technology capabilities cloning an employee is not only done brilliantly, but evokes a realistic, chilling possibility in our evolving scientific landscape. Finally, Sam’s relationship with GERTY (voiced by Kevin Spacey), who ultimately transcends his robotic limitations to exercise free will in helping Sam escape the pod, is especially poignant as technology becomes a more intimate part of human life and literally changes our neurological makeup. Matrix – Makes us look at reality a little differently. Steve, the Matrix was definitely on our short list :). I really enjoyed that trilogy as well!